You are here: Home » Forums » Intermittent fasting » Calorie count differs for Smoothie recipe on app to book, please help ! Calorie count differs for Smoothie recipe on app to book, please help ! I have recently incorporated the 5:2 element of diet to my regime as read it is helpful in reducing inflammation ( and have had a recent flare up of an inflammatory condition). 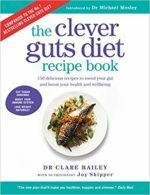 I am however very confused re calorie content of recipes, for example the clever guts app says the Dr Tim’s Healthy Gut Smoothie is 800 calories but in the clever guts recipe book it says it is 520! Which is correct ? I don’t think many here have the original Clever Guts Diet book, the CG app, and the CG recipe book. Are the units of measurement *exactly* the same, for ingredients and serving size? OR are units roughly converted (say grams to cups)? OR are the units subjective/ variable (an ‘average’ fruit or a ‘heaped’ spoon, ‘mixed’ berries)? If the recipes appear to be absolutely identical, crunch the numbers using an online calculator such as MyFitnessPal. For accuracy weigh dry ingredients and measure volume for wet ones. Measuring spoons and cups should be level since a watery liquid cannot be heaped! If you are smoothie-making in a rush, or are more comfortable using measuring cups, by all means convert for yourself, noting how packed the cup should be for an accurate weight. I just found the Bailey/ Skipper version of the smoothie recipe on Google Books. More than half of the ingredients are subjective or variable. It’s just plain *peculiar* that the berries are weighed, whilst spinach is “a handful” and the size of the apple/ avocado/ pak choi are not specified. Having said that the calories in the spinach and pak choi are negligible. Is there an additional protein source (?nuts, ?seeds) in the app version? Is using all 800 calories in one fast day meal the norm? It is the inevitable consequence of marketing to multiple distinct yet overlapping population groups. There are those following only the Clever Guts Diet, those incorporating aspects of the Blood Sugar Diet or aspects of the Fast Diet. There are those from the United Kingdom, those from North America, those from Australia … and anywhere else the books have been marketed. AFAIK Dr Mosley, Dr Bailey and both the consulting nutritional therapists are registered and practice here in the UK. Our official serving sizes are measured by weight (solids) and volume (liquids). Nutrition information – including a reasonably accurate calorie count – are based on this. I don’t know who was involved in the shambolic app, or their nationality, or how they *estimated* the calories for each recipe. I do know the app was released whilst Dr M and Dr B were armpit deep in marketing their respective books, and that Dr M has continued to present for the BBC, so I am guessing they had limited input! Unfortunately weighing, measuring and number crunching is the only way anyone can track their calorie and macronutrient intake. There is no shortcut (sorry! ).